This 'everyday' version of Sterling Silver is much easier-to-care-for, much easier-to-grow and has much longer-lasting flowers. 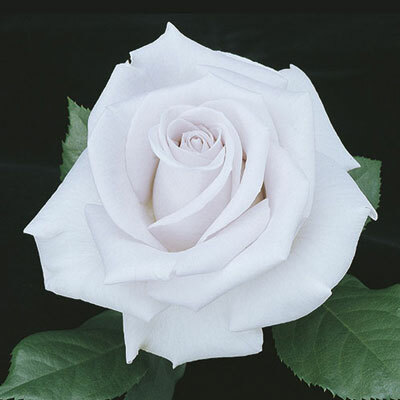 Yet it still possesses the wonderfulperfume and the mysterious pastel color that places its far-removed ancestor in rose history. The trophy-hunters will go or the classic show form and the nice long stems. Deep green large leaves clothe the tall vigorous plant. Flower size & color are best with some cooler temperatures.